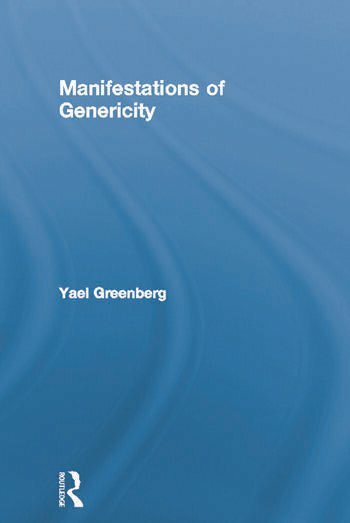 In this book, Yael Greenberg discusses and clarifies a number of controversial issues and phenomena in the generic literature, including the existence of "episodic genericity," existential presuppositions, and contextual restrictions of generics. Yael Greenberg teaches theoretical linguistics and formal semantics at Bar-Ilan University, Israel. She received her Ph.D. in 2001, also at Bar-Ilan University. Her research interests include semantics, pragmatics, and syntax.